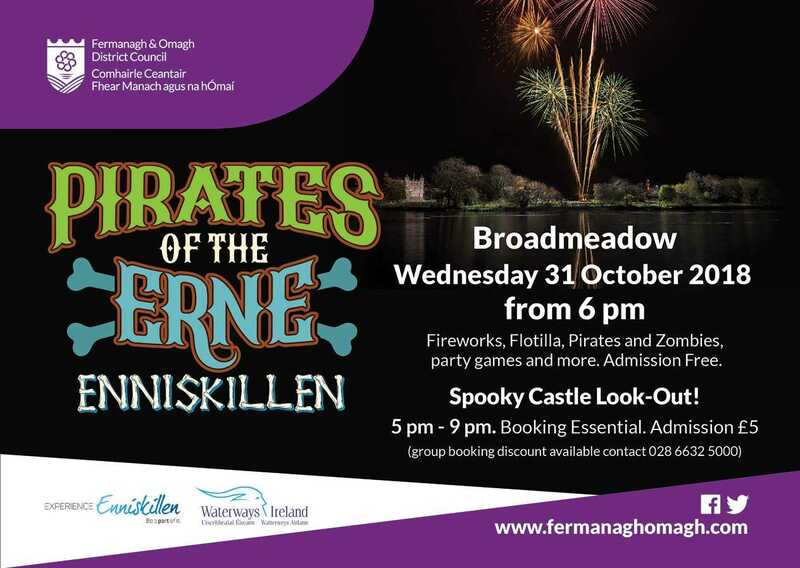 This year, Waterways Ireland is delighted to give the young people of Fermanagh and Omagh the opportunity to become the 'Pirates of the Erne'. Twenty eight (28) young people will be given the exciting chance to captain the Pirate ship around Castle Island this Halloween! Waterways Ireland, Enniskillen Business Improvement District and Fermanagh and Omagh District council are giving twenty eight (28) young people from across Fermanagh and Omagh the chance to become an 'Erne Pirate'. On the 31st October 2018, a range of family activities are on offer in Enniskillen. See the Aughakillymaude Mummers torch light trick or treat trail from the Diamond to the Castle and Broadmeadow from 4.30 pm. Join Captain Jack Sparrow lookalike, zombies and spooky characters as you dance the evening away at the fancy dress Halloween disco, games and activities from 6.00 pm at the Broadmeadow. Enjoy music, dance, food, street entertainment and light performers in the run up to the fabulous Fireworks display from Castle Island at 8pm. At 7pm we will 'Light up the Lough', a magical flotilla will set sail. The 'Pirates of the Erne' ship will lead the flotilla around Castle Island before the fireworks show and we want you to be our pirates! To become an 'Erne Pirate', please must submit a spooky story titled: 'The pirates invasion of Devenish Island on Halloween Night'. Dress up as a Pirate for the evening. Spooky story to be no more than 200 words. Need to be comfortable with water and water activity. Safety gear will be provided. 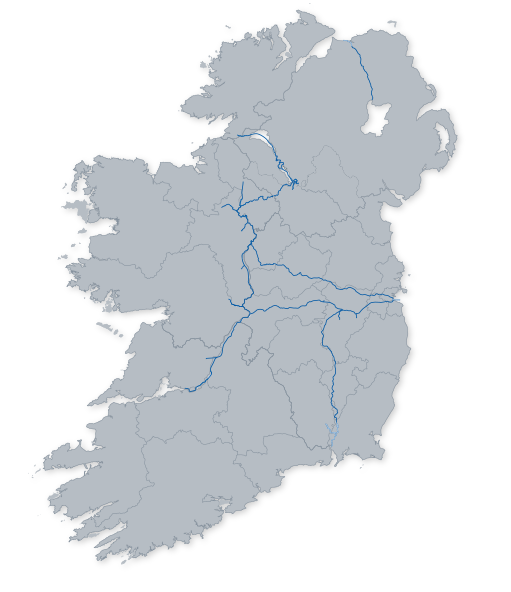 Be available from 5.30 pm to 8.00 pm on 31/10/18 @ Waterways Ireland HQ, 2 Sligo Road, Enniskille, Co. Fermanagh. The twenty eight (28) lucky winners will be rowing around Castle Island on the 31/10/18, afterwards the winners and their families will be welcome to view the fireworks display from the Waterways Ireland HQ building.